Services are scheduled for 10 a.m. Saturday, Jan. 14, at West Main Baptist Church for Patricia “Patty” Gayle Taylor of Artesia. Taylor, 66, passed away Wednesday, Jan. 11, 2017, at Lakeview Christian Home in Carlsbad. Jason Kraft will officiate at the services, with interment to follow at Twin Oaks Memorial Park. Pallbearers will be Chris Purcell, Lance Purcell, J.J. Stoneman, Buddy Haider, Jody Taylor and Dusty Taylor. Honorary pallbearers are Jim Minter, Chad Lee, Justin Darrow and Marvin Thompson. Patty was born Jan. 19, 1950, in Artesia to Kenneth Dale Malone and Rosabelle Houghtaling. She was a lifelong Artesia resident. On June 20, 1969, she married Tommy Taylor in Artesia. Patty worked as an office manager for Queen Oil and Gas for a number of years before retiring in 2008. 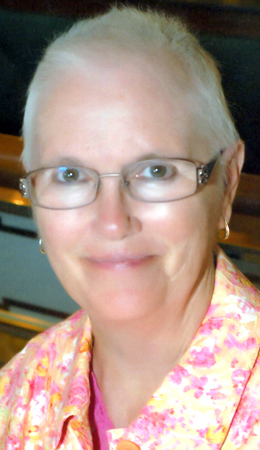 She was a member of West Main Baptist Church and loved to travel. During the five-and-a-half-year battle she underwent, she traveled 20 years’ worth. Her favorite method of traveling was taking cruises. Survivors include her husband, Tommy Taylor, of the family home; daughter Kelli Taylor and partner Gracie Marquez of Kingwood, Texas; mother Rosabelle Malone of Artesia; mother-in-law Nita Taylor of Artesia; sister Peggy Purcell and husband Rick of Tucumcari; sisters-in-law Mary Gayle Wood and husband Jerry of Roswell, and Janell Smith and husband David of Artesia; brothers Mike Malone and wife Danette, and Sammy Malone and wife Cassey, both of Artesia; brother-in-law Stan Taylor and wife Barby of Lubbock, Texas; and numerous nieces and nephews. Memorial contributions may be made to Lakeview Hospice.